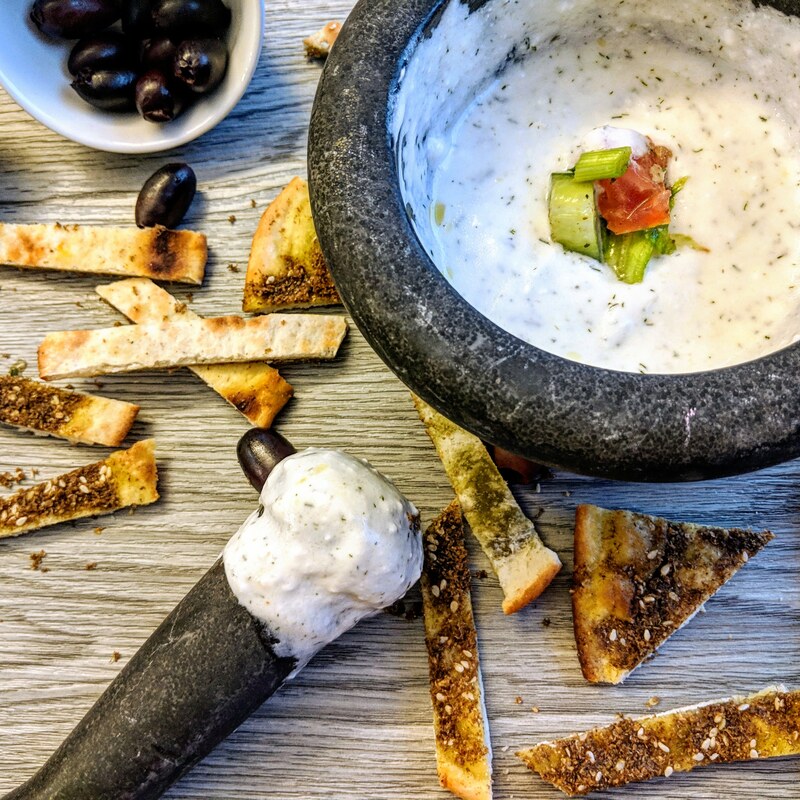 The traditional Tzatziki. So fresh and homey. My favorite thing to dip in here is Eggplant sticks. In a small bowl, crush the garlic clove. Add some salt and mix well. Add the Labneh and yogurt. Mix really well until the yogurts are incorporated.